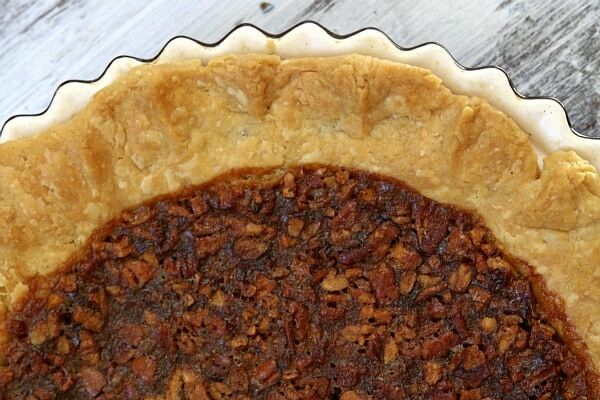 This is a Pecan Pie recipe worthy of making for any and every occasion. 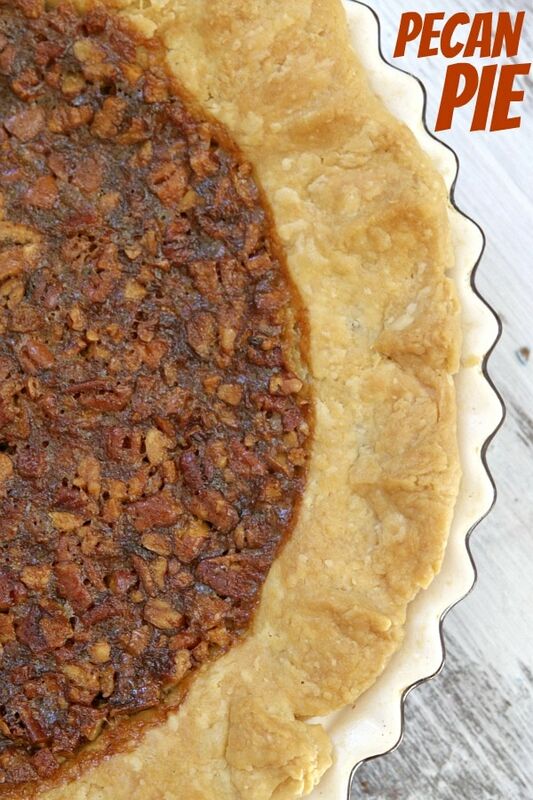 It’s a super simple, perfect, classic pecan pie. The filling is amazing. Be careful though- you’ll want to dig in with a spoon and eat it all! Let’s just get one thing straight here. I’m completely and utterly, hopelessly, terribly pie-challenged. I can make a pie, sure… but it’s not usually the beautiful sort of pie that you might see from seasoned bakers. Because of this, I have a bit of Pie Phobia. I sincerely *want* to make gorgeous pies to share with the world, but I rarely do since I apparently have pie problems. 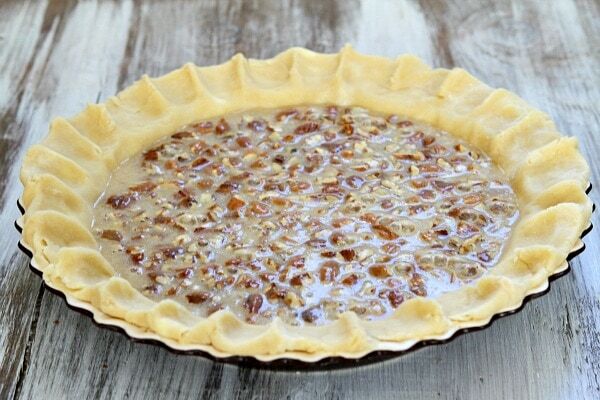 This Pecan Pie recipe comes from Ree Drummond’s new book: The Pioneer Woman Cooks: A Year of Holidays. 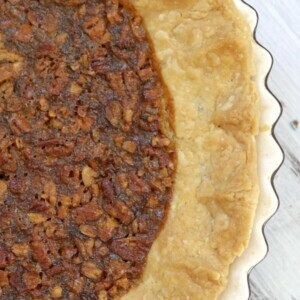 Here’s how you make this crazy-delicious Pecan Pie! >> First things first, you make Ree’s recipe for Perfect Pie Crust. 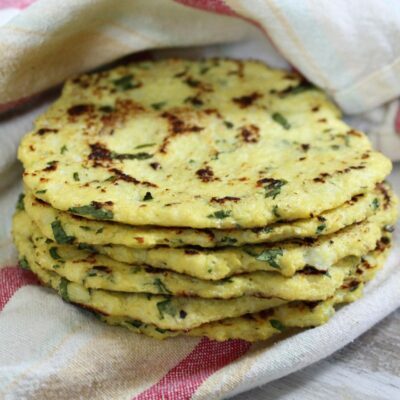 It’s really easy to make, and it really does deliver “perfect,” as promised. 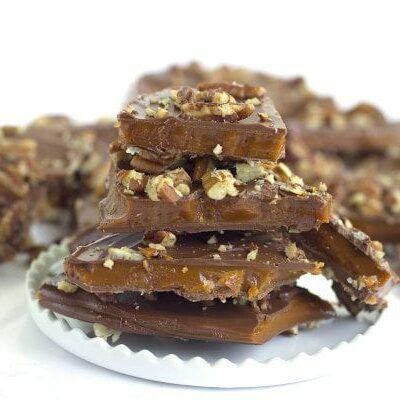 Then you just dump a heaping cup of chopped pecans into the crust. …and they floated to the top! Now you cover the pie with some foil, bake for about 35 minutes, then pull off the foil and bake for about another 30 minutes. Pecan Pie- Ta Da! Okay, I know it’s not a perfect pie, but remember I said I was Pie-Challenged?!! No one cares that my pies aren’t the most gorgeous thing on the block because they always end up tasting great. 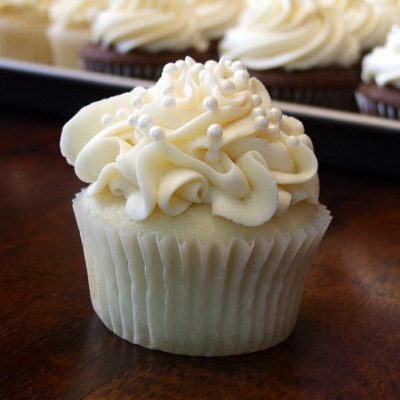 this one is grab-a-spoon-and-dive-in-and-JUST- TRY-to-take-a-single-bite delicious! Oh thank you, Pioneer Woman, for an amazing recipe. 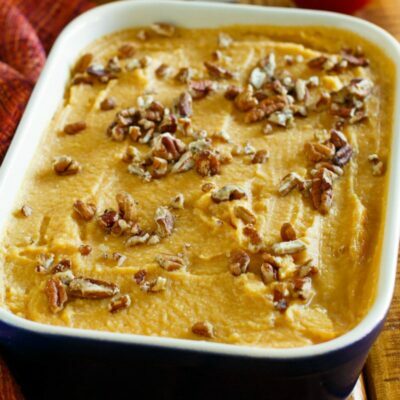 It will be perfect for Thanksgiving and Christmas and other pie- worthy events. I was so excited to eat it that I couldn’t even get a clear photo in the end. I may have eaten this for breakfast and lunch too. Darn pie. Darn calories. Darn horrible metabolism. 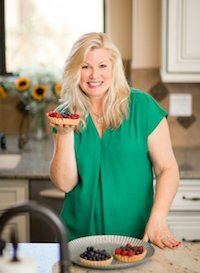 If you enjoy recipes from The Pioneer Woman, you might also enjoy her Butterscotch Pudding or Homemade Meatballs. 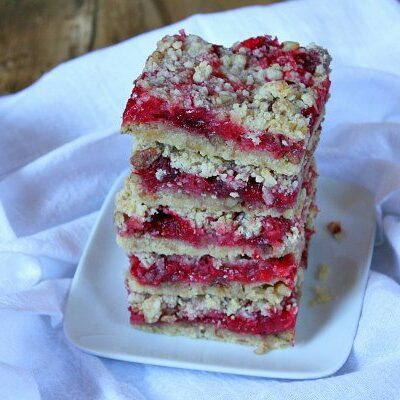 The Perfect Cream Scones are my favorite, and this Dr. Pepper Cake is delicious too! 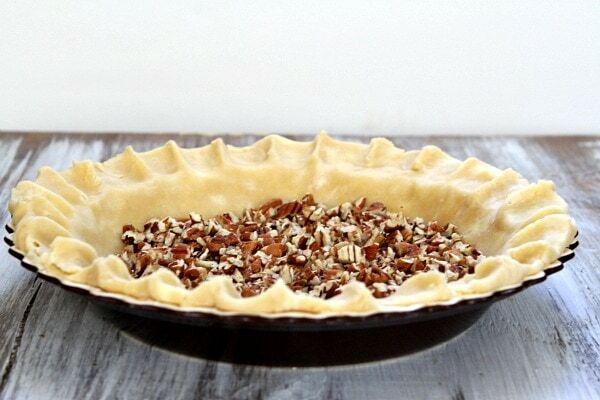 Easy, classic Pecan Pie recipe! In a large bowl, combine the corn syrup, sugar, brown sugar, eggs, butter, salt and vanilla. Whisk until totally combined. 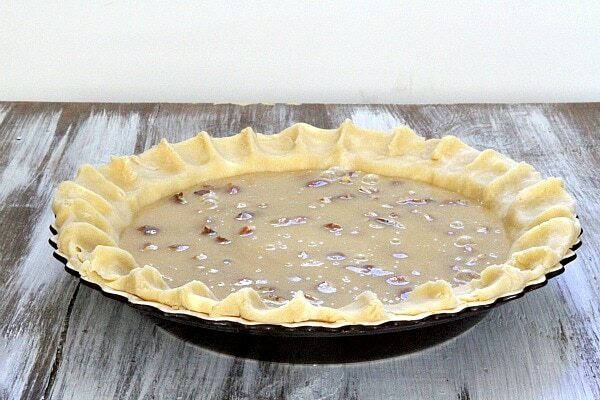 Place the chopped pecans in the bottom of the pie crust. Pour the sticky mixture right over the top. The pie should not be overly jiggly when you remove it from the oven. If it is, just continue baking it in 5-minute intervals until it's done. Let the pie cool before slicing it into wedges. 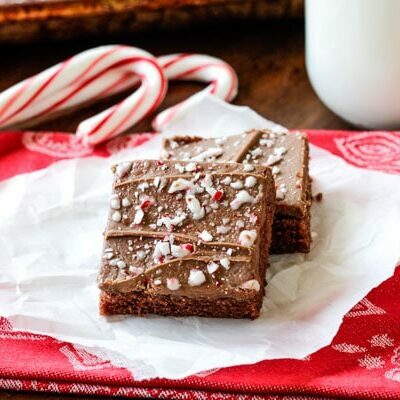 Serve with sweetened whipped cream, if desired. Disclosure: There are Amazon affiliate links included within this post. 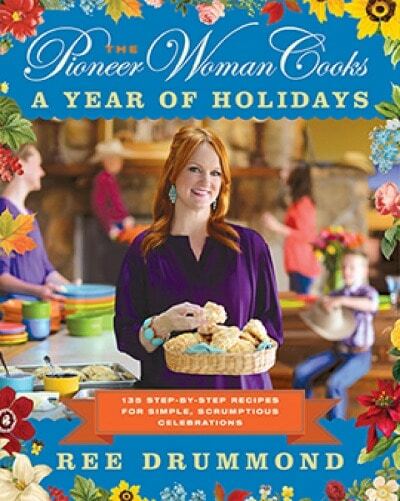 I was given a copy of The Pioneer Woman Cookbook for review and had permission to share a recipe from the book. All opinions shared are my own. 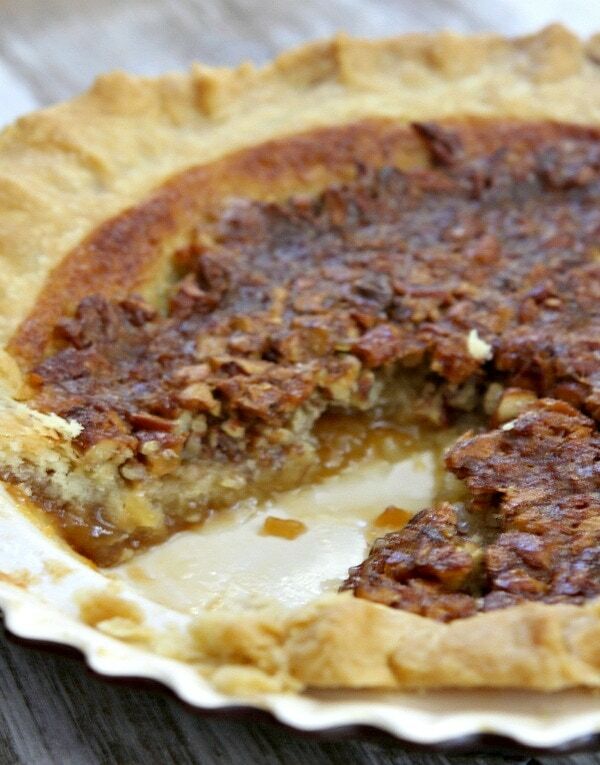 Pecan pie the best ever! I love Rees recipes I never miss a show. 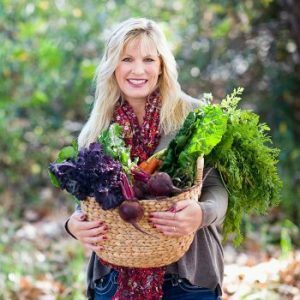 Iam always cooking with her recepi she is one of my favorite chefs. I luv pecan pie. Its always so sweet but its so good. My mom loves pecan pies 🙂 this looks wonderful, I can’t wait to whip this up! Wow! 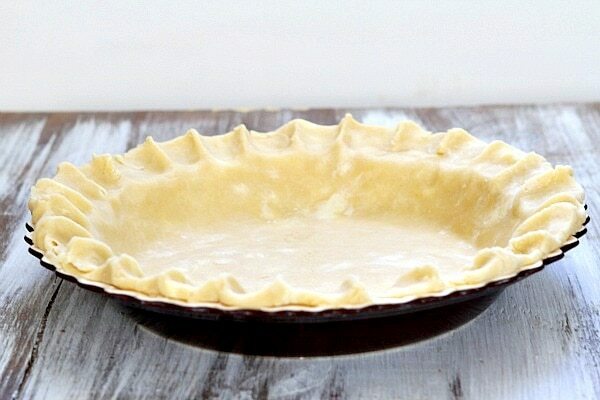 This is the first time I’ve seen this fluting technique for pie crust on a food blog. It is the method both my grandmother and mother used and, in turn, they taught me. I use it all the time…it’s my signature way. Your pie looks scrumptious, Lori! Your pie looks amazing! What are you talking about? Looks like you did a great job with the pie!